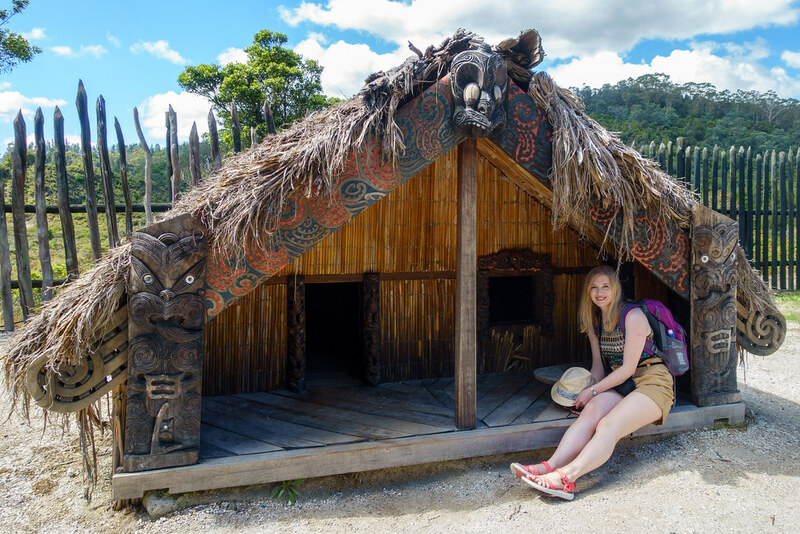 This is the fifth of a series of posts detailing mine and my sister’s trip to New Zealand’s North Island. View all the posts so far here. 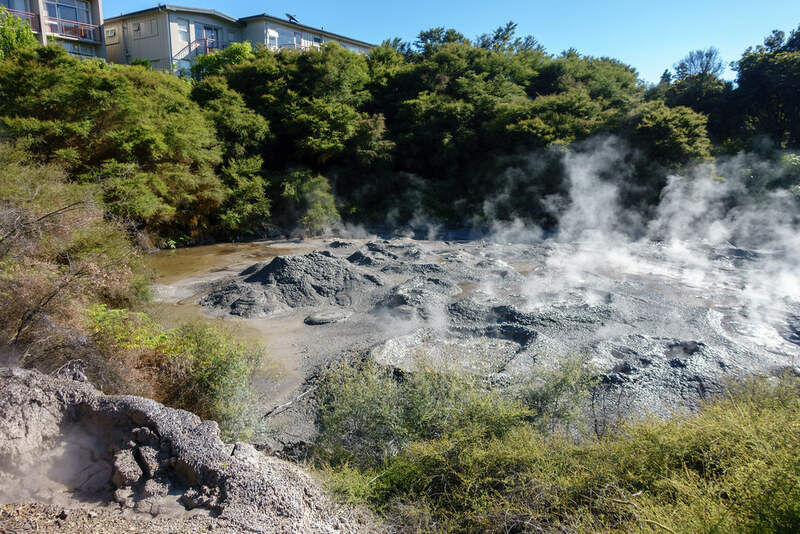 Te Puia was a perfect activity for our first day in Rotorua, as it served as an introduction to three things for which New Zealand is best known: geothermal activity, Maori culture, and the Kiwi bird. 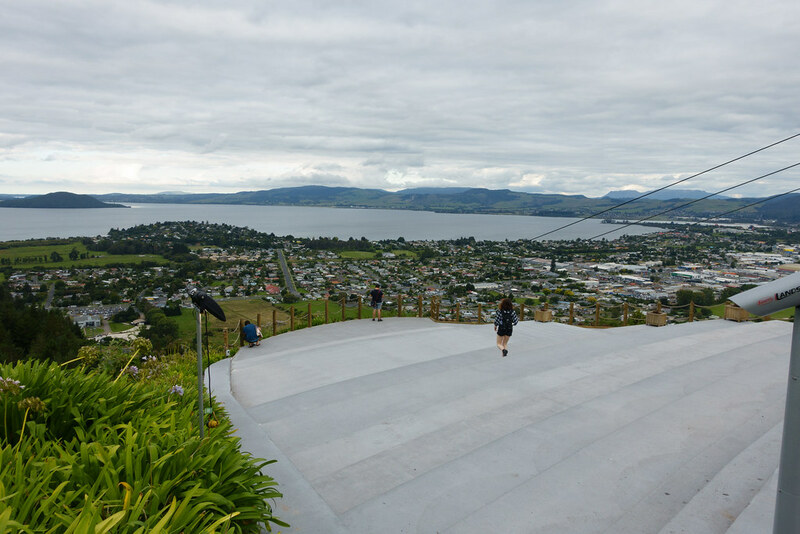 Afterwards, a trip to the Skyline centre provided spectacular panoramic views over the city and a thrilling high-speed spin on the luge. From Six on Union Motel we walked to Te Puia in around 20 minutes, and got 10% off the basic day entry ticket (Te Rā Experience, $54) by using a discount voucher from the motel. 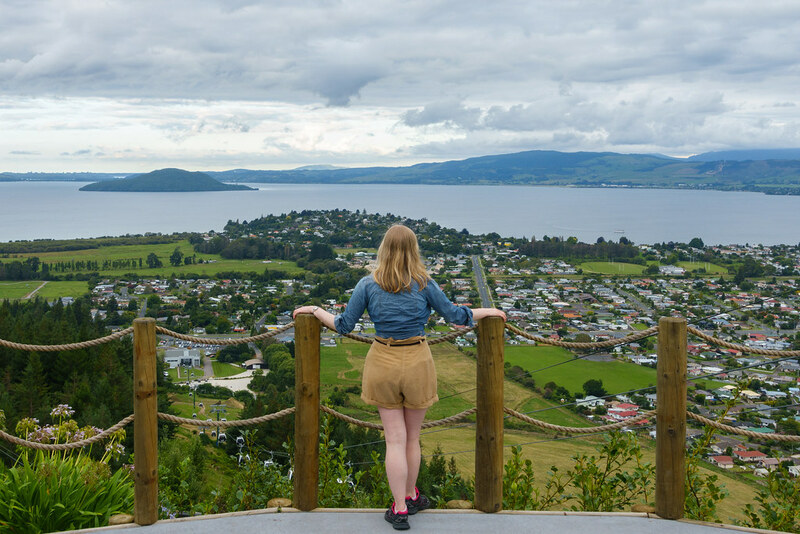 Like all attractions in New Zealand it wasn’t cheap, but in this case it was definitely worth it. 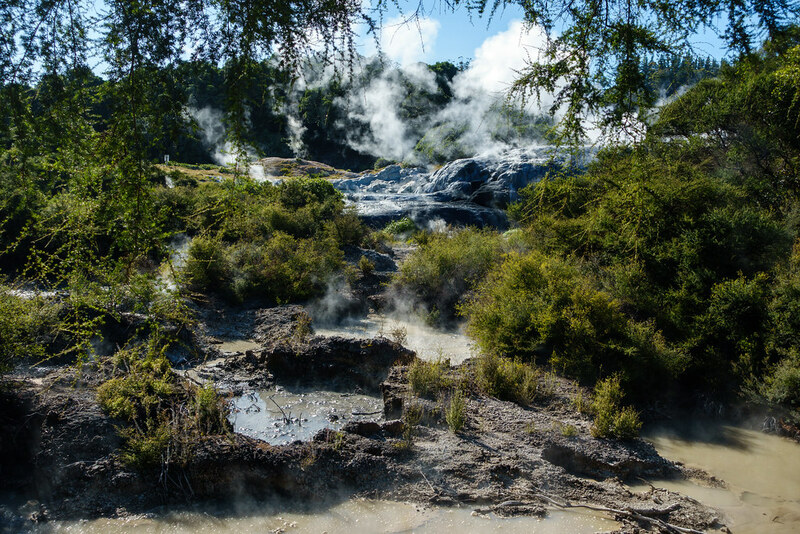 There’s a wealth of geothermal wonders to see in Te Puia and, because it was the first geothermal park we visited, everything was amazing to us. 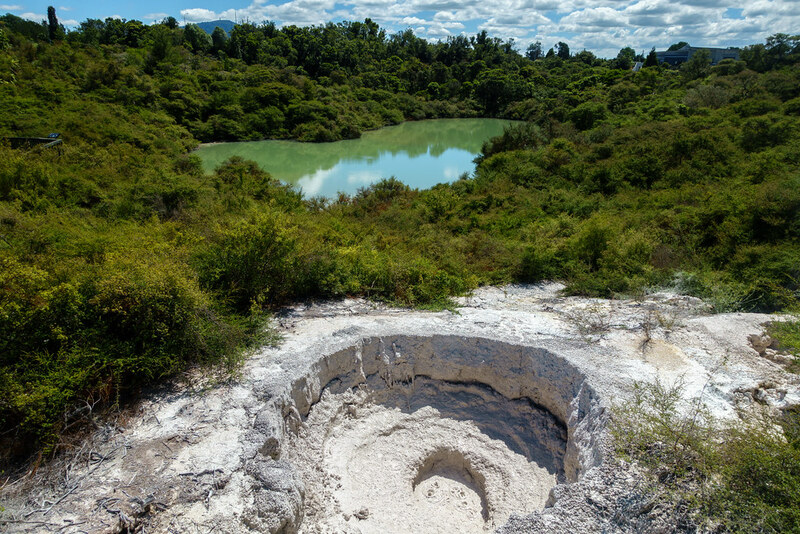 We spent far too long photographing the first tiny puddle of bubbling mud that we saw, before walking just a bit further along and coming to a giant boiling mud flat! 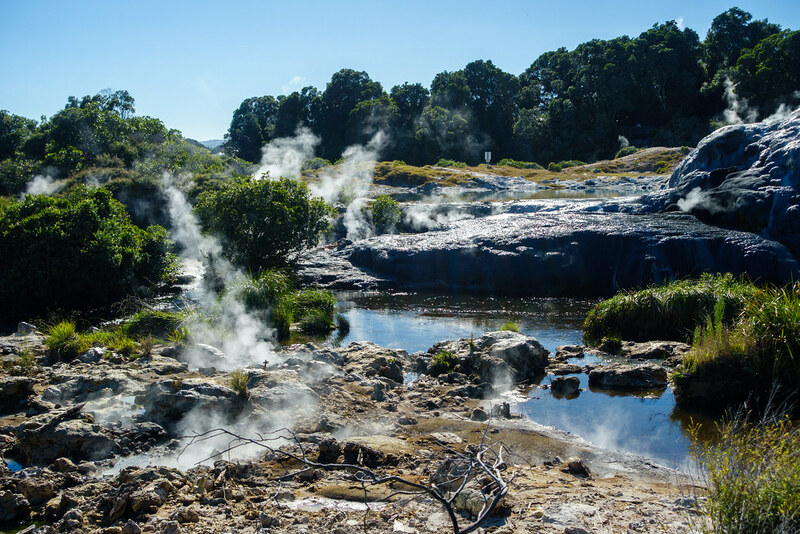 There are billowing steam vents, strange rocks and coloured pools practically everywhere you look, and it’s easy to walk the entire park and see them all. It’s a fun way to spend a few hours in the sunshine. 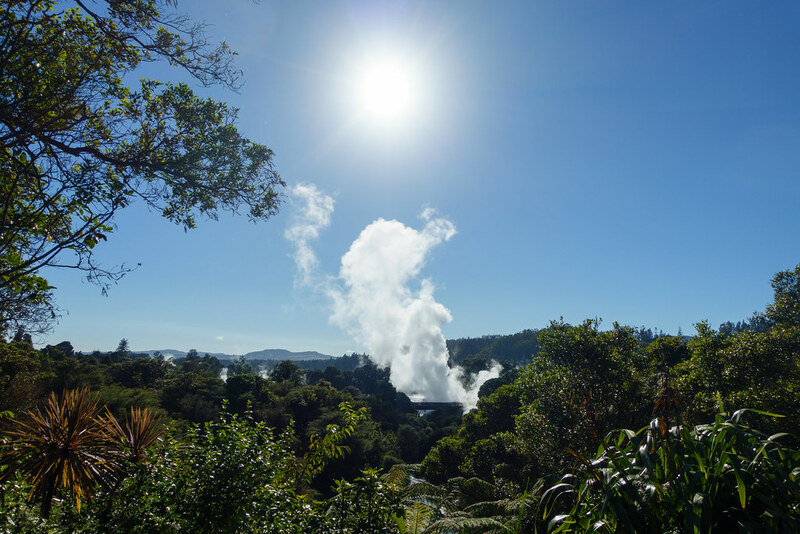 But the main event is undoubtedly Pohutu geyser. 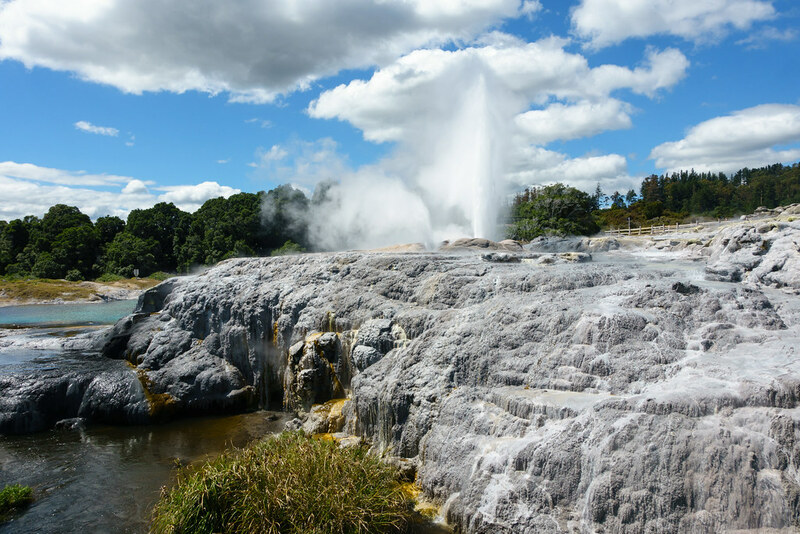 Although less famous than Lady Knox geyser at Wai-o-tapu geothermal park, Pohutu geyser is not only more spectacular but completely natural in its eruptions (whereas Lady Knox is stimulated to erupt at the same time every day). 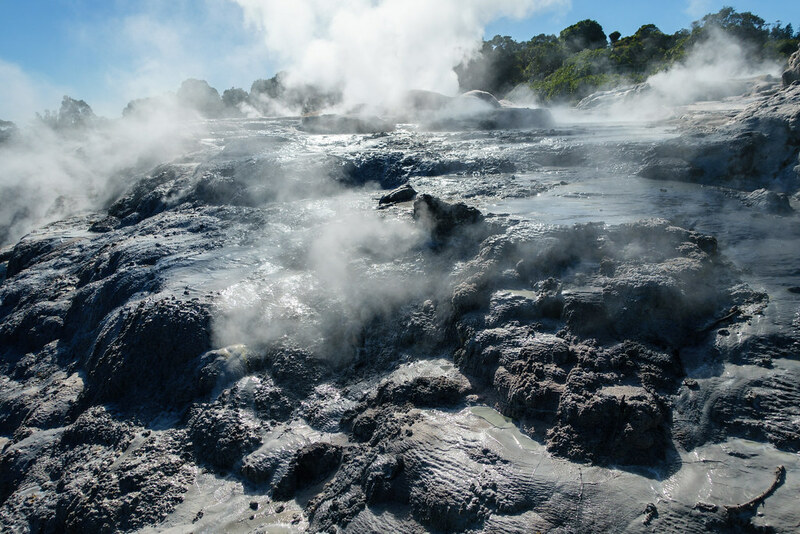 The park guides know all the pre-eruption signs, and on the free guided tours they’ll always try to time your visit to the geyser to coincide with its eruption. This is exactly what happened for us. After touring the park we went to the kiwi bird enclosure, just in time for the feeding session. 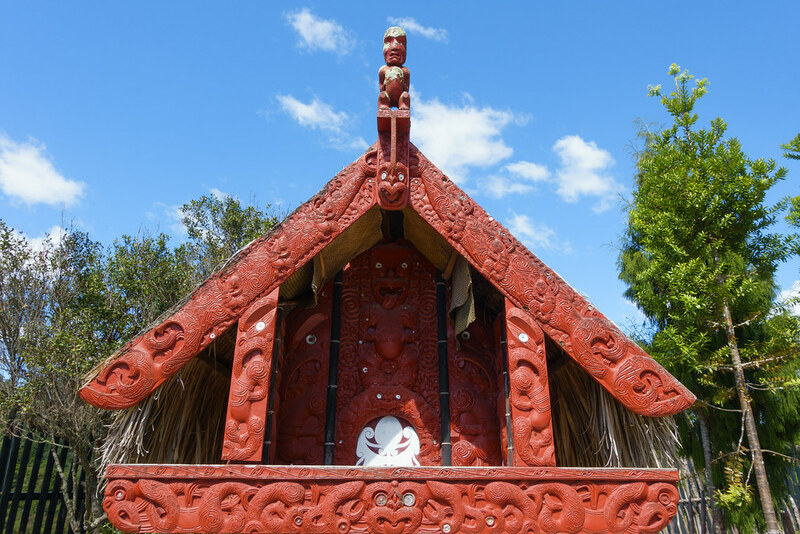 As kiwis are nocturnal, the enclosure is kept completely dark except for a dim red light. However, once your eyes adjust, it’s possible to see the kiwis quite well and up-close because the keeper puts their food on a reflective plate close to the glass. We thought they were adorable – especially in the funny way they run about! 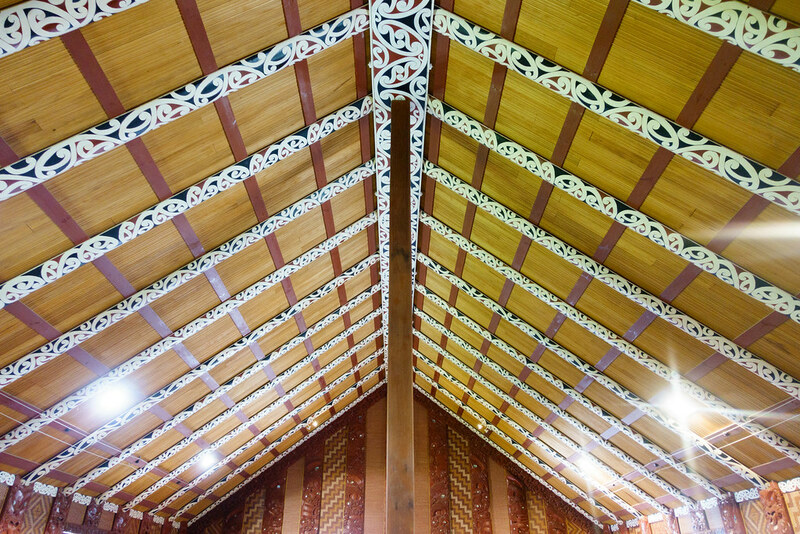 Next we went to see the replica Maori village of huts and straw houses, followed by the full-size Maori meeting house. We ate our packed lunch of leftover pasta in the undercover cafe, then bought ice creams to eat while we followed the free guided tour. 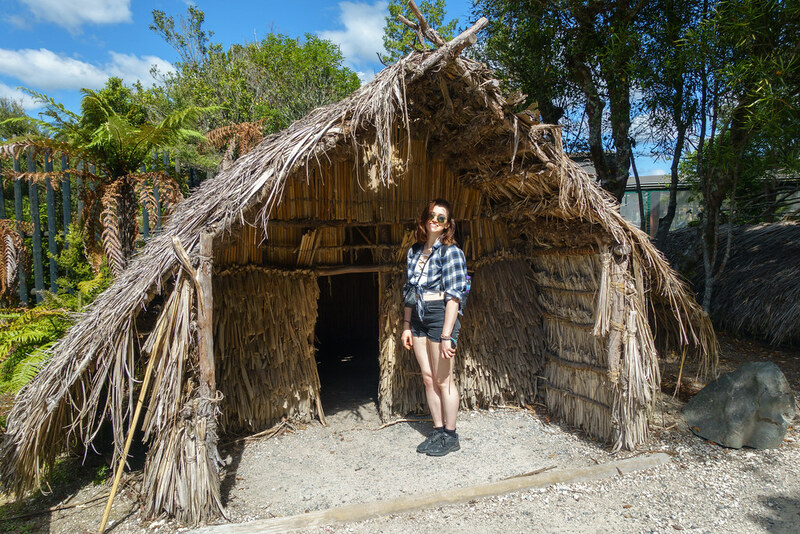 Our guide told us loads about the Maori people and how they have traditionally used the plants in the park. 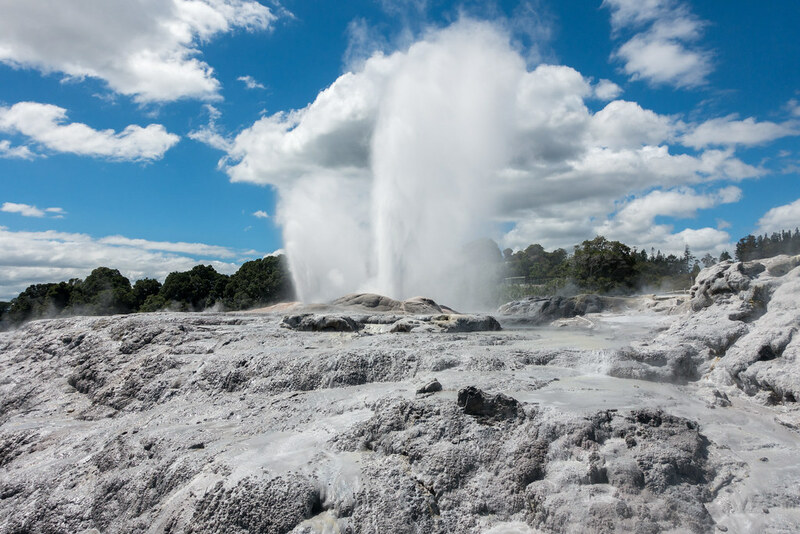 Most importantly, she took us to Pohutu Geyser just as it began to erupt! The powerful white jet of water rose higher and higher as we watched, and once at full height, stayed there for minutes on end. 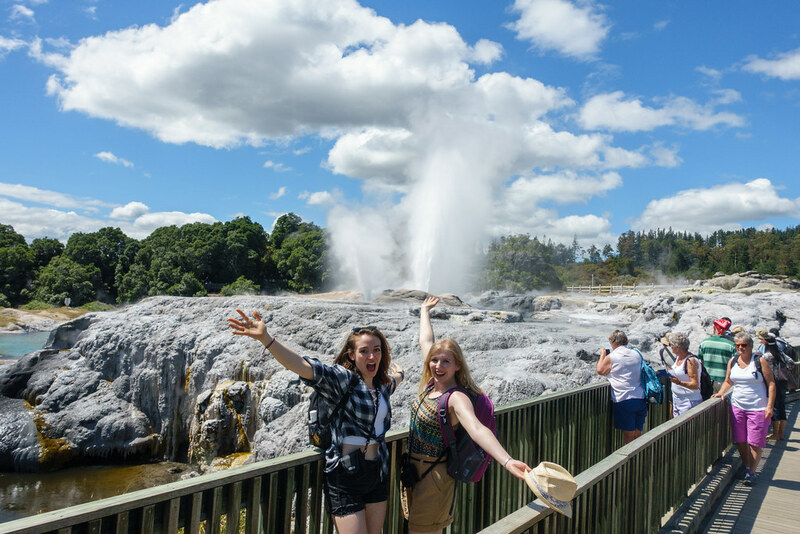 Our guide took photos for us and even took us to the spot at which we’d get showered by the geyser’s surprisingly cold spray! 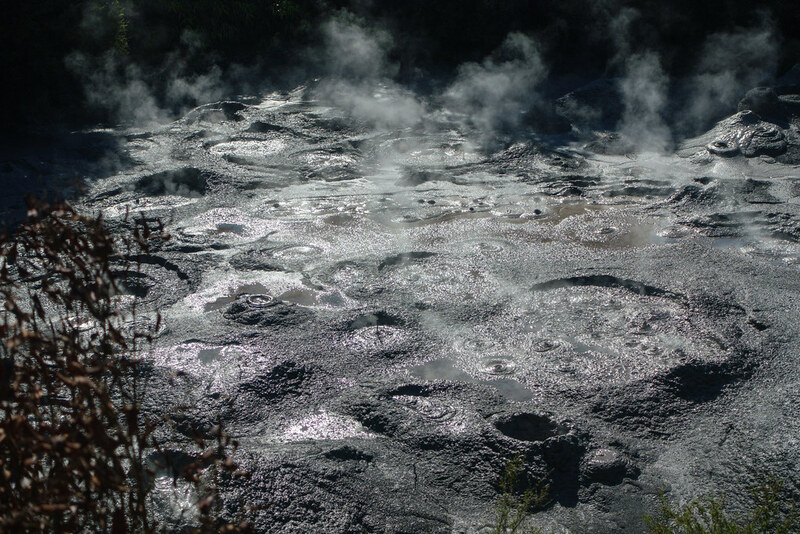 Once we’d had our fill of Te Puia, we returned to our hotel before catching the route 1 bus to Skyline. Here we bought three rides on the luge each ($52), so that we could try each of the three tracks: scenic, intermediate, and expert. 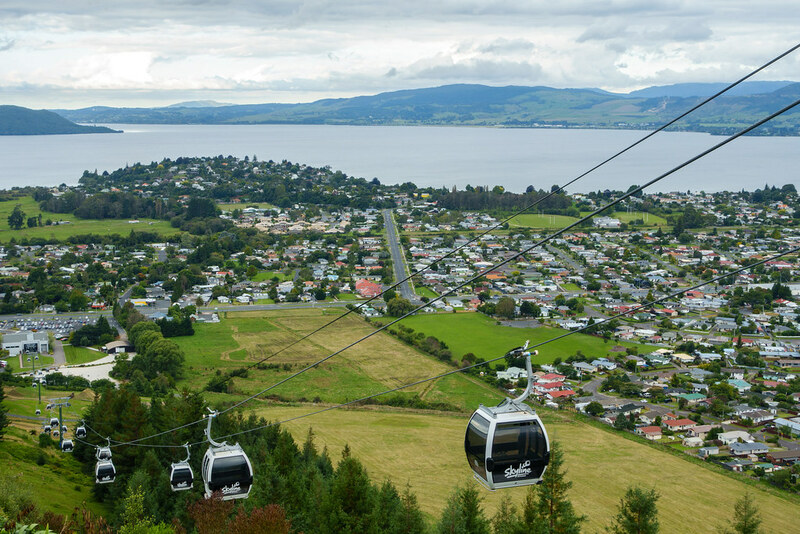 We took the gondola/cable car up to the top of the hill, getting our first look at the stunning panoramic view. At the top we put my large backpack in a locker, collected our helmets, and joined the line for the luge. Having luged before in Singapore, I was ready and raring to get back in the cart (which for those uninitiated, is like a sled with a handlebar for steering and wheels that enable it to roll downhill). My sister Tama, on the other hand – typically the daredevil of the pair – was surprisingly nervous! On our first ride, I zoomed off without a second thought as Tama hung back at the starting line. But after the initial shock of giving in to gravity’s pull, she came to enjoy it more each time. Perhaps a bit too much – on our third and final ride down, which she was filming with a GoPro tucked into her top, she crashed into the side of a particularly slanted bend (thankfully she was unscathed)! 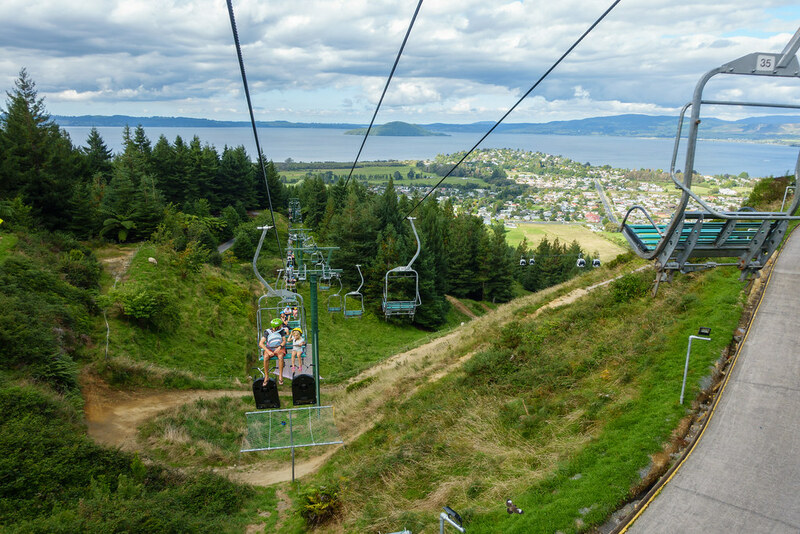 After each ride down we traveled back up on the ski lift, which was great fun and incredibly scenic! 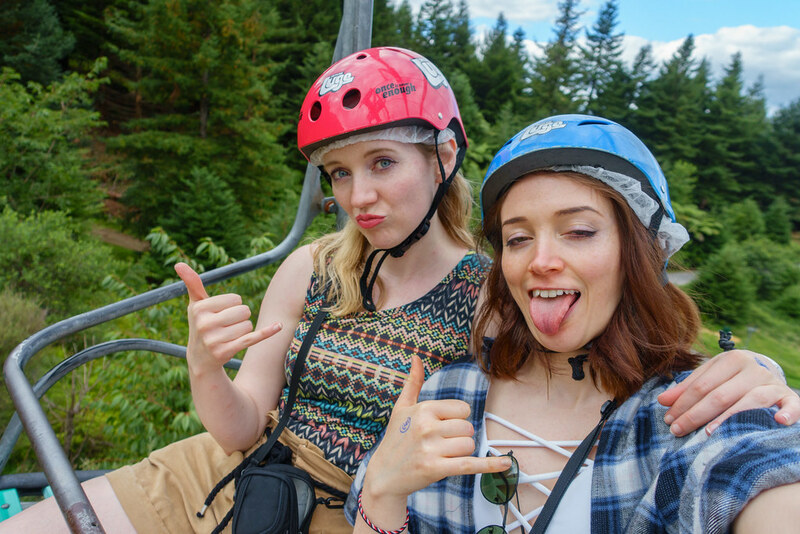 Once we realised that photos were being taken on the lift, we tried to look out for it and pull funny faces as we went past. But in the end the only photo we bought was the one we didn’t realise was being taken (below). I like that it shows the amazing view, as well as how much we were enjoying ourselves! When we’d finished luging we tried to eat at the Skyline’s buffet restaurant, Stratosfare, but it was fully booked. No matter – it’s expensive for a buffet restaurant, and you can enjoy the spectacular view outside it for free! 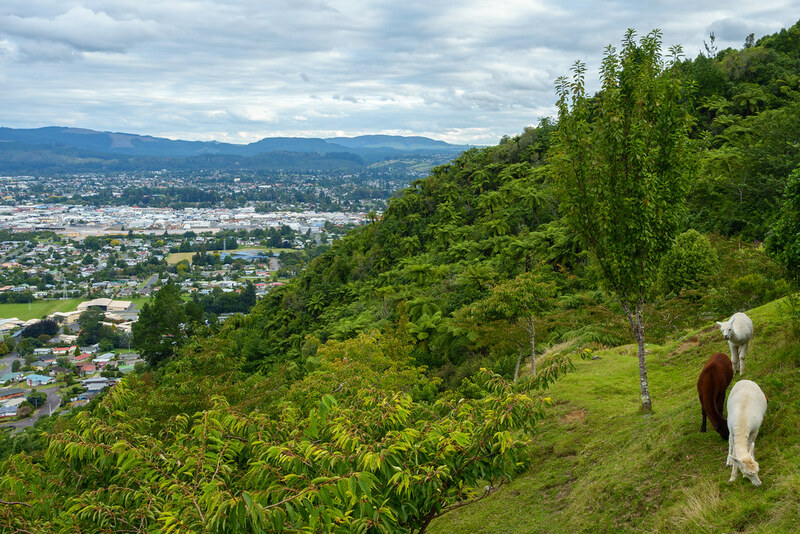 We took some photos from the amazing viewpoint before leaving to find dinner elsewhere. On the way back down in the gondola we found a Mexican restaurant online, and called to book there and then. To our relief, I think we got the very last table. Back at the bottom we called a taxi to take us straight there. Sabroso is a tiny and unassuming restaurant, but inside it’s cosy and colourful and we got a very warm welcome from the female owner. She took the time to explain the menu to us, and after her description I couldn’t resist getting the taco of the day: the most delicate and delicious beer-battered whiting. 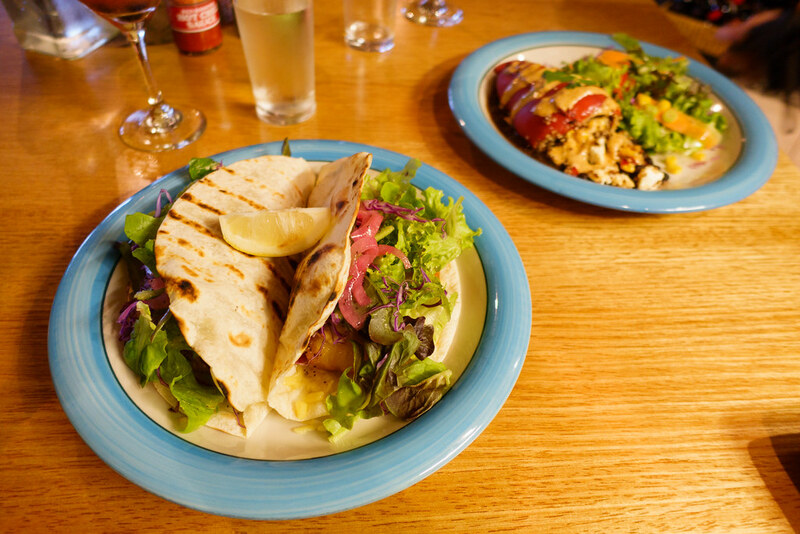 This came in two giant tacos, stuffed with crispy salad, pickled pink onions and juicy salsa. The owner recommended I try it with Sabroso’s homemade jalapeno hot sauce, and I thought it was so amazing that I bought a bottle to take home! After much deliberation, Tama went for the stuffed bell pepper which she loved. We both had the homemade white sangria (Sangrio Blanco). It was the best night of our trip, and we were both amazed at what good value it was. With trips to Hobbiton and the Tamaki Evening Experience booked long ago, tomorrow was set to be an equally fantastic day. Subscribe to this blog or Like and Follow Roam with Juliet on Facebook to be alerted when these posts go live. 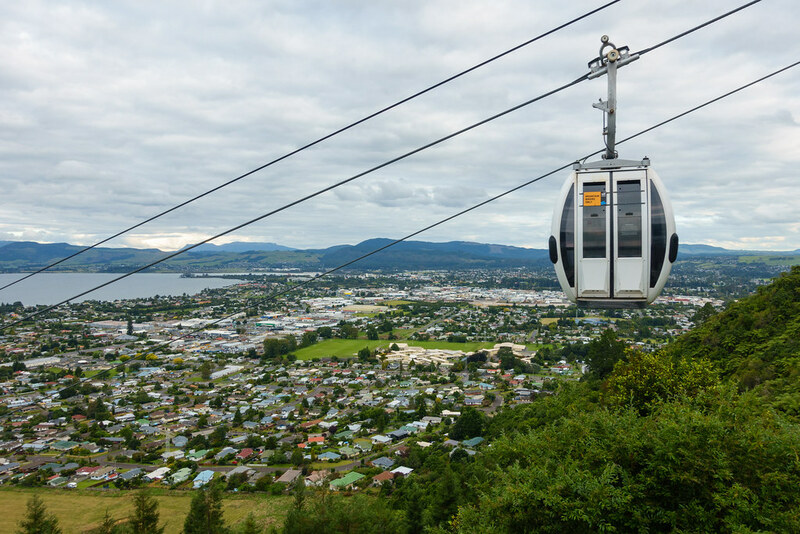 Posted in New Zealand, Photography, TravelTagged luge, Pohutu geyser, Rotorua, Sabroso, Skyline, Te PuiaBookmark the permalink.